The historic Sycamore Inn Prime Steakhouse has been a landmark of hospitality on the legendary Route 66 since 1848. The Sycamore Inn would like to assist you in planning your next special event. Our banquet facilities can accommodate groups both large and small. 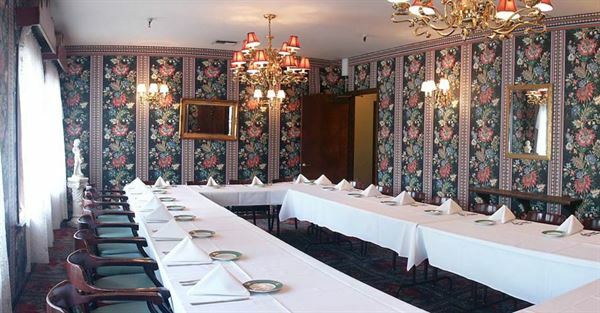 From business meetings, family parties, wedding receptions, or any event that requires our special attention, the Sycamore Inn can provide you with menus, service, and other arrangements to meet your needs. Take a tour of the charming rustic Inn and view the gracious and elegant ambiance that has made the Sycamore Inn a tradition for special evenings, banquets and special events for generations.